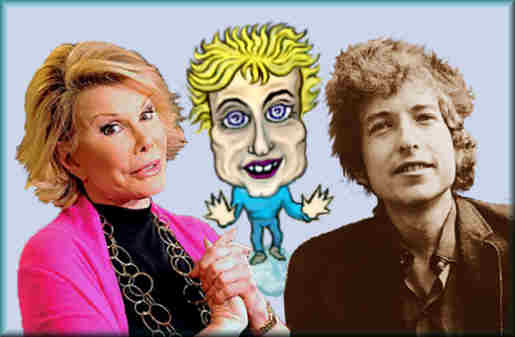 Joan Rivers and Bob Dylan show the personality and physical characteristics of Gemini, as well as Mutable Air’s gift for words. Joan loved to talk and chatter. Bob found the right words to create musical poetry for our minds and ears. The other Mutable Signs are Virgo, Sagittarius and Pisces. Note how the mutable forces of Air create the “off kilter” facial elements, as they double or “twin” the facial components in the face. There seems to be two lower and upper lips, and a double layer of eyelids! The extra folds above the eyelids produces “two blinks”, instead of one. Note how the long, thin nose and the pointed chin skew off in opposite directions to create the skewed characteristics of Gemini. Persons with a Gemini Moon or Rising Sign often show even more of these flighty characteristics of Gemini. Also, since MERCURY rules Gemini and Virgo, persons with a strongly aspected Mercury may express the inductive mentality of Gemini and/or the deductive analytical skills of Virgo. In this photo collage, six Geminis show us the dueling, twisting patterns of Mutable Air, as well as other characteristics of Gemini. 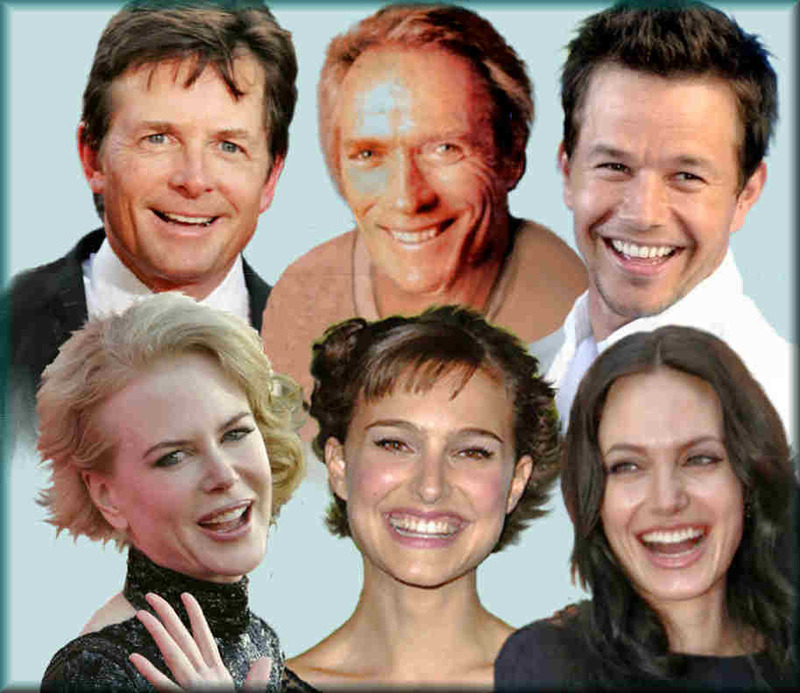 In addition, we will also illustrate how different astrological components alter the disposition and personality of these celebrities. With their mutable Moons, Nicole Kidman and Natalie Portman clearly show the skewed lines and characteristics of Gemini. The emotional reactions of Kidman’s Sagittarius Moon add an extra spark to her mercuric eyes, while Portman’s Virgo Moon enhances the inquisitive and analytical nature of her Sun. Both ladies have Scorpio Rising. This Scorpio Ascendant is also seen in Clint Eastwood. Few expect him to be a Gemini, for what they see is his “Dirty Harry” Scorpio persona, rather than the fast blinking, squinted and sparkling eyes, that appear, when Clint discusses his ideas to others. In the faces of Mark Wahlberg and Angelina Jolie, the electrical circuits run at a lower voltage, as they are short circuited by the saturated and water soaked flesh of their Cancer Ascendants. Like Eastwood, Mark’s emotions show the fixed intensity of his Scorpio Moon. Angelina’s reactions are instantly explosive and fiery. She has an Aries Moon. On first glance, Michael J. Fox appears quite different than all the others. Note how his eyelids drop on the outer edges, to compact the facial components into the center of his large cubical head. This can be attributed to Michael’s Aquarius Ascendant. The fixed qualities are enhanced by his Taurus Moon.